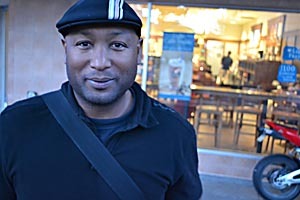 T. Geronimo Johnson is the author of the novel, Hold It 'Til It Hurts, which was a finalist for the PEN/Faulkner Award for Fiction, and Welcome to Braggsville, published by Willliam Morrow in February, 2015. He received his MFA from the Writers’ Workshop and has taught writing and held fellowships—including a Stegner Fellowship and an Iowa Arts Fellowship—at ASU, Iowa, Berkeley, and Stanford. He is the founding director of the U.C. Berkeley Summer Creative Writing Program.